Hi Folks! We are thrilled to officially announce our October shows! On Saturday, October 22 catch us from 10AM – 4PM at Coz Con, where we’ll have a vendor table and will have a small performance at some point in the day. Event info at cozcon.com. 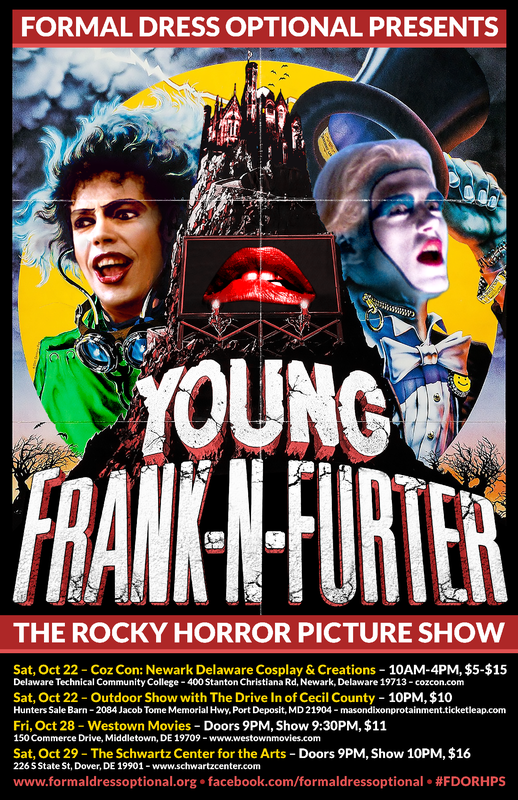 Don’t forget to catch The Rocky Horror Picture Show tv remake event on cable on Thursday, October 20. If you love it, great! Come out and support the original show. If you hate it, great! Come out and support the original show. Tickets for all our shows are available now! Claim yours before it is too late.